Honey Nut Cheerios was a staple in our house growing up. Mix that with some Saturday morning Nintendo and I knew the weekend was already made. 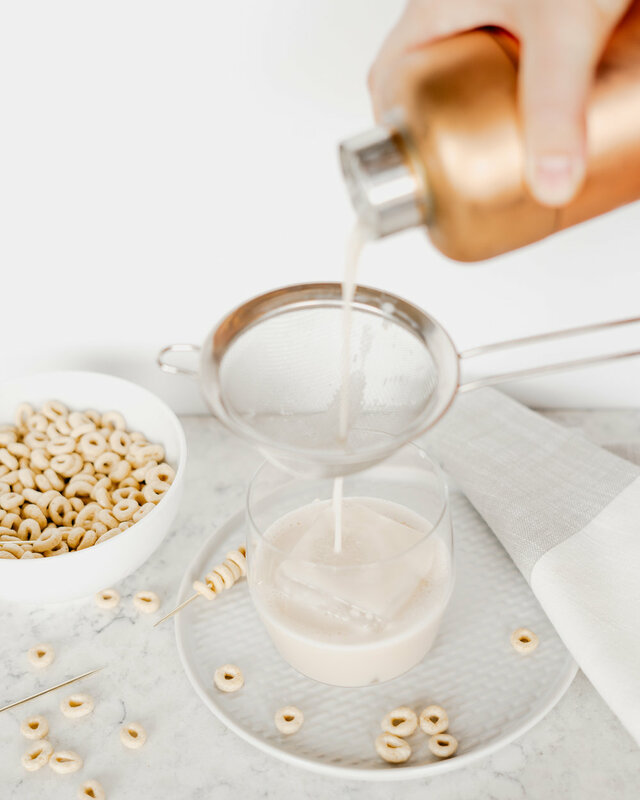 So how have I not tried cereal milk in a cocktail yet?! I mean I love cereal and I love cocktails. The mix just didn’t occur to me until I was gifted this tasty bottle of Brandy, while back in Wisconsin. I dove into Maggie Hoffman’s book The One Bottle Cocktail instantly, looking for something special (and pretty easy). Then Boom! I found her Breakfast of Champions recipe. She first wrote the recipe for bourbon, but I took her ‘mix it up’ advice and swamped in the brandy. 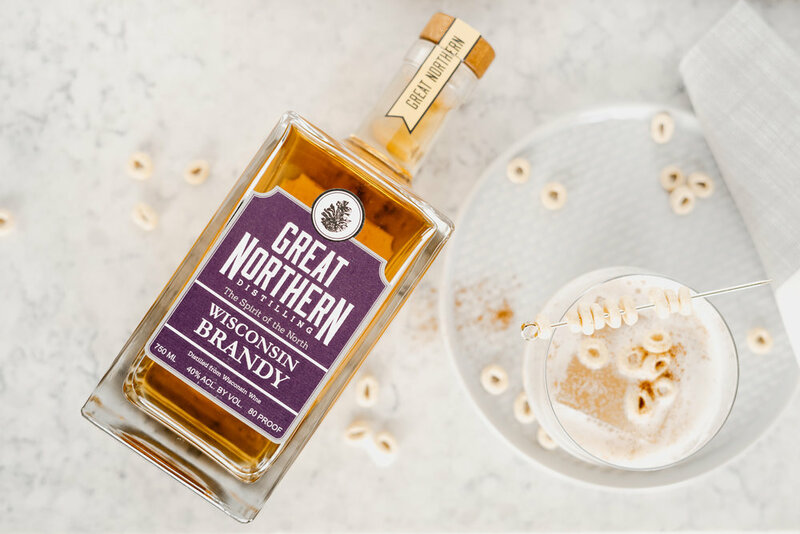 It’s sweet, nutty, boozy, and with that hint of cinnamon, it enlivens the senses. 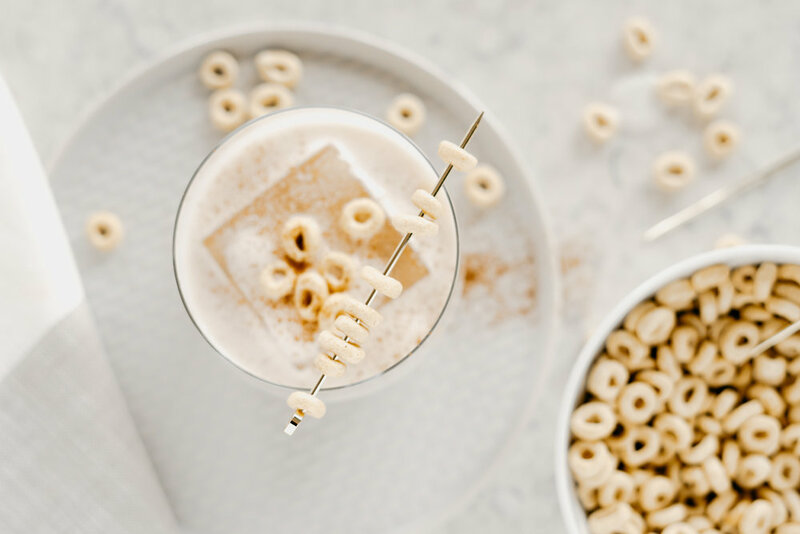 And be warned - skewer up a few extra Cheerios, because they are addicting to nibble on while you sip away during your morning routine. Garnish: freshly grated or ground cinnamon and cocktail pick with skewered Cheerios. Mix the Cocktail: Combine brandy, honey syrup, and infused milk in a cocktail shaker and fill with ice. Shake vigorously until well chilled, about 20 seconds. Double-strain into an ice-filled glass and garnish. Combine Cheerios and milk in container - refrigerate for 1 hour. Stir and shake occasionally to help Cheerios break down. Strain through a fine-mesh strainer into another container. Refrigerate for up to 2 days. Makes enough for 2 drinks. Mix 2 parts honey (1 oz) with 1 part hot water (1/2 oz). Stir until dissolved.